Numerous controlled studies show that biofeedback therapy is highly effective for tension and migraine headaches. A bad headache can feel inescapable. So, naturally, all too often we reach for over-the-counter prescription drugs to in search of relief; a quick remedy for a problem that usually has a deeper, chronic cause. However, the mind-body technique of biofeedback can be a natural treatment for tension and migraine headaches. Using innovative science and technology you can train your body to treat itself. Next, I’ll explore the causes of tension and migraine headaches and how biofeedback can be an effective alternative to over-the-counter medication in treating each type of a headache. Tension headaches originate from muscles kept too tense for too long anywhere in the head and neck—especially including the jaw. People who have muscle-related pain usually cannot tell how tense these muscles are. This leads to muscles being kept tenser than necessary for longer periods than required. In fact, muscles kept only five percent tenser than needed for less than a half hour longer than necessary leads to pain which can be sustained for an entire day. How does biofeedback help tension headaches? Biofeedback devices record tension that generates pain in the muscles and shows those levels to the patient. The patient learns to associate actual levels of tension with sensations from the muscles, so muscles are kept appropriately relaxed. Most people learn to recognize their levels of tension and to automatically keep them at appropriate levels. People who successfully learn this skill and apply it eliminate or vastly reduce the intensity, duration, and frequency of their tension headaches. Migraine headaches usually begin during adolescence or young adulthood with no obvious initiating incident. They may begin abruptly or gradually and may or may not be related to sexual maturity. These type of migraine headaches can be effectively prevented through behavioral techniques such as biofeedback. However, migraine-like headaches caused by trauma such as an auto accident or which come in clusters usually cannot be effectively treated through behavioral interventions. How does biofeedback help migraine headaches? Nearly all people with migraine headaches have less near-surface blood flow to the fingers and toes (and sometimes noses) than those who do not have migraine headaches. These people tend to have relatively cool extremities because all of their heat emanating from the fingers and toes is generated by near-surface blood flow. Biofeedback devices can accurately record the temperature of the fingers (or any other body part) and show the temperature to patients so they can learn to recognize and then control finger temperature and maintain normal levels. People who can learn this skill and maintain normal levels of fingertip temperature do not get migraine headaches as often or as severely as previously. Many entirely eliminate their headaches. Most also significantly decrease or eliminate their need for migraine medications. The evidence supporting the effectiveness of biofeedback (frequently used in conjunction with related techniques such as progressive muscle relaxation training) for the treatment of tension and non-traumatic origin migraine headaches is very strong. Numerous controlled studies with reasonably large numbers of patients and long follow-ups (of up to ten years) show that biofeedback is highly effective for tension and migraine headaches. Roughly 4 of 5 people who experience tension and migraine headaches not caused by trauma can reduce their headache frequency, intensity, and duration by an average of about 80 percent using biofeedback-based behavioral interventions. PATIENTS: If you have migraine or tension headaches and would like to look into biofeedback-based interventions, go to the website bcia.org to locate a certified biofeedback practitioner near you. 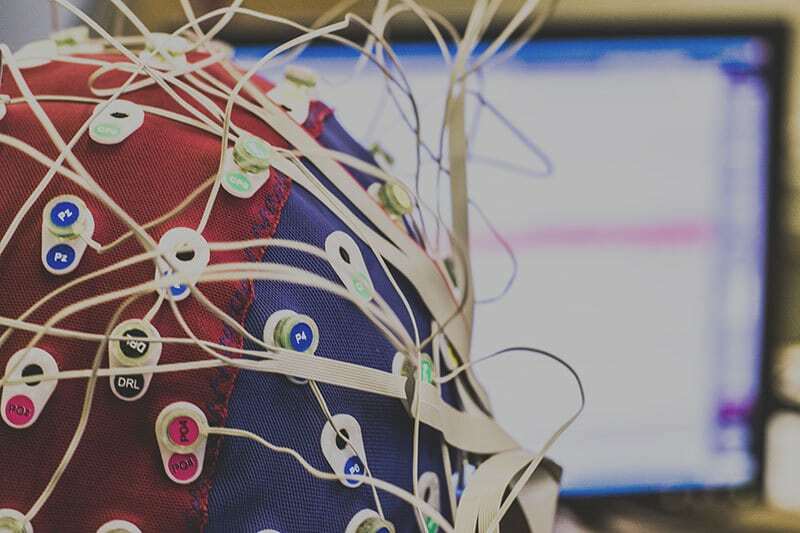 PROFESSIONALS: If you are a therapist and would like to find out more about how to treat headaches using behavioral interventions such as biofeedback consider exploring our Ph.D. in Applied Psychophysiology program.